I don’t really know what came over me, but during a good part of the time I was watching Prince of Broadway, I found that tears were streaming down my face. I kept saying to myself how much I loved the show. Why? Because seeing the classic numbers of the shows Hal Prince produced or directed reminded me about why I love the theatre so much. 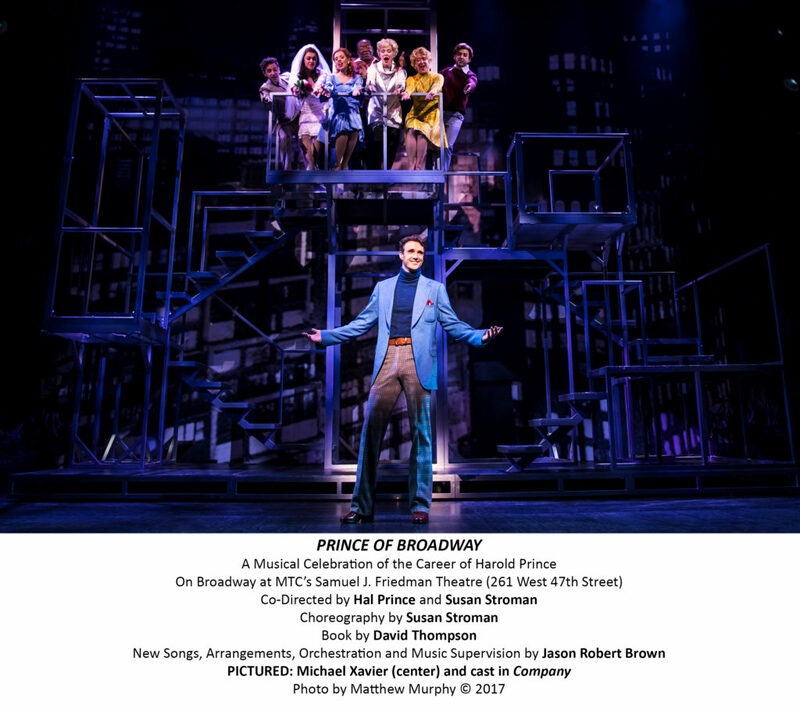 Prince of Broadway is really a big stew of some of the best numbers featured in Hal Prince musicals-heck, some of the best numbers featured in all of Broadway history. Period. The Hal Prince story is told by everyone in the ensemble-men and women alike, keeping the material fresh and the biographical text moving. I mean how can you not love hearing and seeing numbers like “Heart” from Damn Yankees, or “Tonight” from West Side Story or one of my all time favorite songs from Broadway, “Being Alive” from Company? Then there is the passionate music from “Evita”, sparking a memory of me seeing the original Evita with Patti LuPone… and not being able to go to sleep that night. 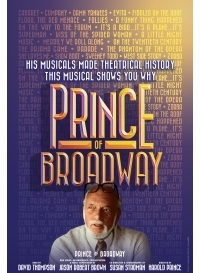 Hal Prince is one of those iconic figures of Broadway, with his signature glasses perched atop his head, his dynamic personality and his unabashed love for theatre. Each character playing Prince sported glasses pushed up on his or her head, a great nod to what essentially became Prince’s personal branding. 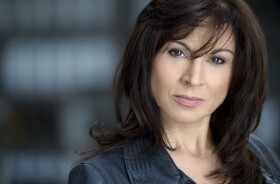 Now the ensemble. What an extraordinary bunch of singers and performers. Each one perfectly cast. 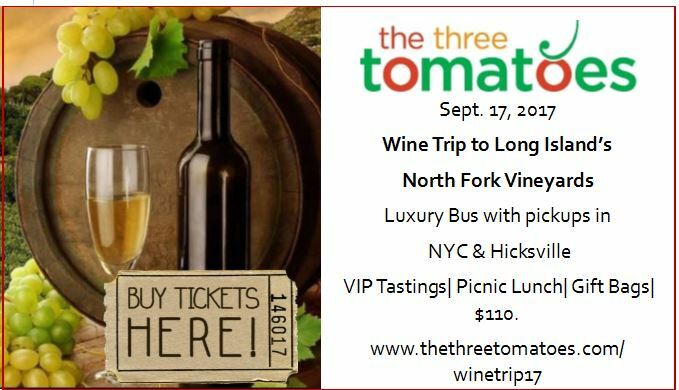 Kudos to Chuck Cooper, Janet Dacal, Bryonha Marie Parham, Emily Skinner, Brandon Uranowitz, Kaley Ann Vorhees, Michael Xavier, Tony Yazbeck, and Karen Ziemba. Susan Stroman choreographed and co-directed the piece, along with, who else, but the man himself, Harold Prince. The show ends with the entire company singing a new song written for the show, “Do The Work” by Jason Robert Brown. 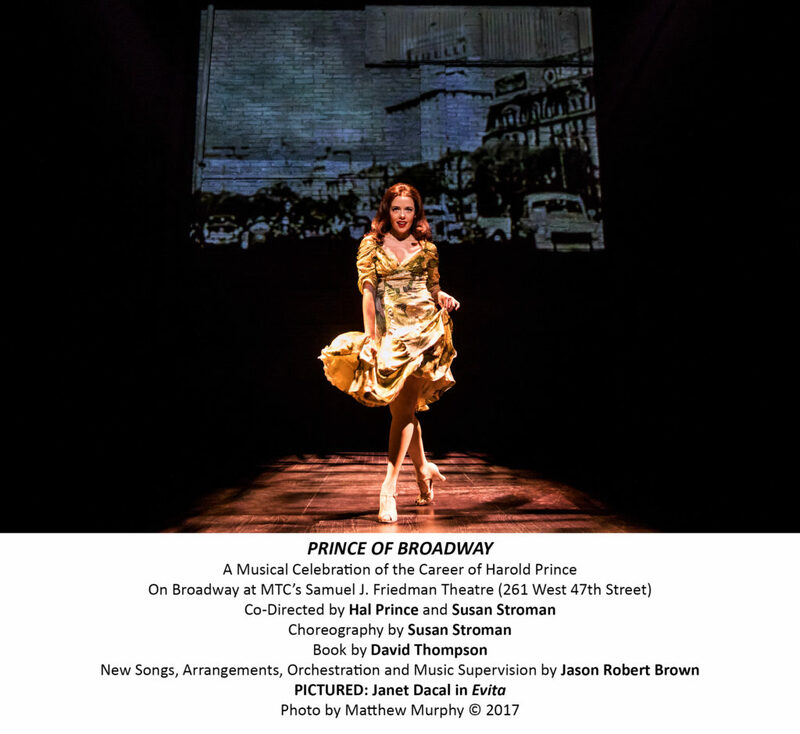 Prince of Broadway, is just a beautiful love letter not only to Hal, but to the entire theatre community, lauding the creations, the music, lyrics, and soul behind each memorable number and show.